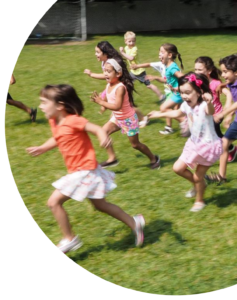 Hudson Country Montessori School has been offering a fun and safe summer camp for over 45 years. Our unique summer program is developed in an environment geared for learning. It is spirited and skill-oriented but non-competitive and social. Our spacious outdoor and indoor facilities are great for physical, emotional and intellectual growth in a secure loving environment. The quality and success of our summer program is defined by our amazing team of professional counselors and our low counselor-to-camper ratio. We know our campers enjoy the best that summer has to offer. At Hudson, they learn new skills, explore new adventures and make friends while having fun.